The Rev. Jesse Jackson lambasted Chicago Mayor Rahm Emanuel's recent proposal to improve public schools in a column published Monday night. 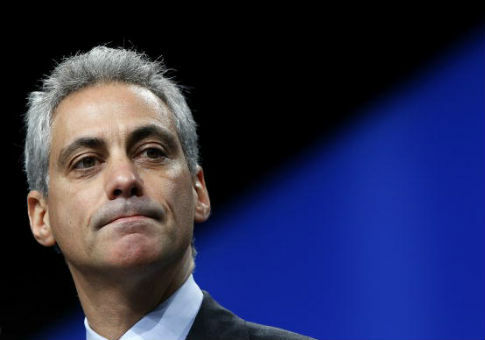 "Chicago Mayor Rahm Emanuel sincerely wants to do something to improve Chicago schools. I have no doubt of that. Unfortunately, his proposal–called ‘Learn. Plan. Succeed. '–falls short of the mark," Jackson began his piece in the Chicago Sun-Times. Jackson, a civil rights activist, then turned his attention to the main component of the new proposal: a requirement that students have post-graduation plans in order to receive their high school diplomas. Students must demonstrate that they have concrete plans in place–such as college attendance, a gap-year program, or military enlistment, among other options–to complete high school. The requirement will be applied beginning in 2020. Jackson explained that the City Colleges of Chicago, a system of community colleges, guarantee admission to any graduate of Chicago public schools. He argued that because of this fact, high schools will push students on track to graduate to apply to the City Colleges, regardless of their post-high school intentions. "That will require a dramatic increase in school counselors, of course, and there's no budget for that," Jackson wrote. Jackson added that the plan does nothing to help provide jobs for graduates, instead creating more red tape before graduation. "A majority of young black high school graduates are looking for full-time work and can't find it. The mayor's plan does nothing to address this grim reality," he wrote. "Instead, it erects a paperwork hoop for kids to jump though that is likely to have very little to do with their plans for their lives." Jackson suggested an alternative proposal that would go a step further than Emanuel's plan to supply every graduate with a job, arguing the city of Chicago can act as a fail-safe employer for those who cannot find employment. He did not elaborate on how such a plan would be implemented or how the city would serve as a last resort in practice. Jackson concluded by listing the steps that in his view must be taken to improve Chicago schools. "It will take investing in schools, providing intensive counseling, resources for those qualified to go to college but who cannot afford it, affordable transportation and housing, and jobs," he said. Jackson is not the first liberal commentator to criticize Emanuel's education plan. Several news outlets have published articles this month that castigate the Chicago mayer's proposal. Emanuel, a Democrat, has argued that students will adapt to the new expectations and be better prepared for a successful future. This entry was posted in Issues and tagged Chicago, Education, Jesse Jackson, Rahm Emanuel. Bookmark the permalink.